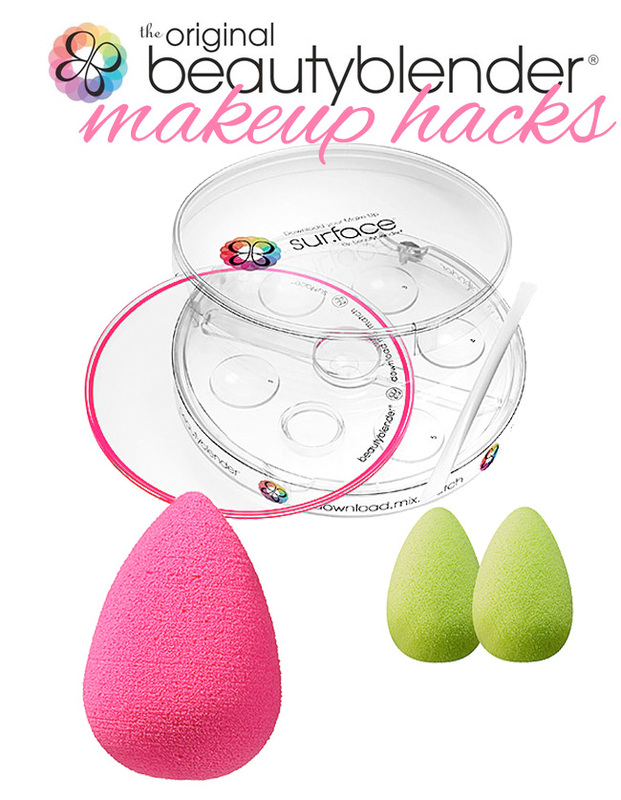 Beautyblender: Sur.face Pro and Micro.mini + Makeup Hacks. I am all about my Beautyblender sponge. It is one of my very favorite makeup tools ever. I use the Beautyblender every single day that I use makeup to apply my foundation for a flawless finish. It is one of those items I see professional makeup artists use on celebrities and backstage at New York Fashion Week all the time. The fine folks behind the Beautyblender have recently launched two new products that I am equally excited about because I am using them just as often now too; the new Beautyblender Sur.face Pro and Beautyblender Micro.mini. 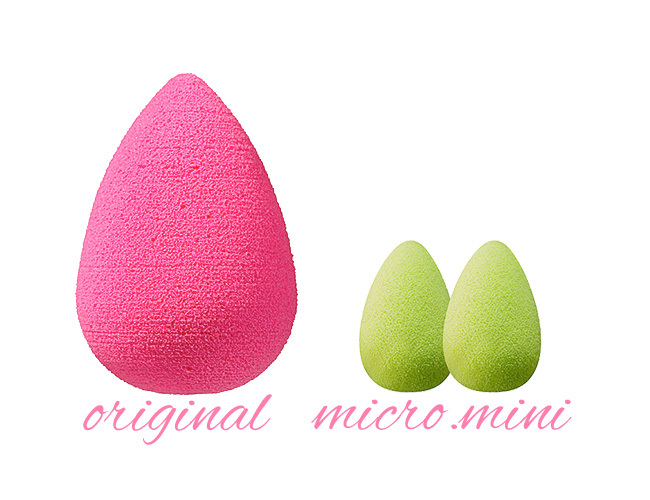 The new Beautyblender Sur.face Pro ($40.00) is the ultimate workspace for an at-home pro. I blend my foundation because I can never seem to get the perfect color and this tool makes it so easy. 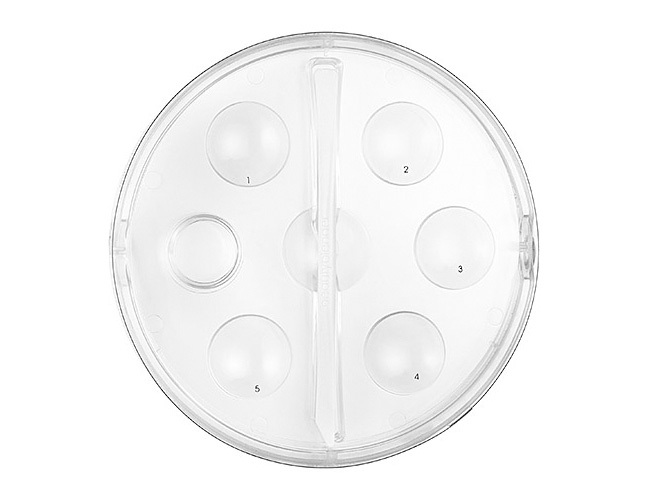 The Sur.face Pro is a very thick acrylic disc that features five numbered storage wells that helps to organize my custom foundation and tinted moisturizer blends. It also has a clear, snap-on cover so I don't waste my mix - which is what I normally do. I can't even describe how amazing this is. I have been using it every day since I received it and have saved so much foundation by not throwing away what I have wasted. The new Beautybender Micro.mini ($17.95) are not only super cute, but this teeny sponge is amazing for giving my concealer an airbrushed look. I use to use the pointed tip ot the original Beautyblender sponge to blend my concealer, but it simply did not do the nearly as well as the Micro.mini is doing. It is the perfect size for getting right under my eye and into the inner corners. It really blends my concealer out to look natural and flawless. The round end is great for applying highlighter to the tops of my cheekbones too. If you ever wondered about using the Beautyblender in some unique ways, I have some really great makeup hacks for you. I bet you never thought of these - but once you try them, you will be thankful and amazed. 1. Need to touch up your cheeks? Using your Sur.face Pro, mix any lipstick with a drop of your favorite foundation for a custom cream blush. Apply with the original Beautyblender for a flawless finish. 2. In a rush? Mix your primer and foundation together for one-step application that will last all day. Place you custom mix in the Sur.face Pro so you have it at the ready for future use. 3. Not sure what to do with all those loose pigments? Put some Vaseline on your Sur.face Pro, sprinkle any shade into the Vaseline to create and store a custom lip tint or cream eye shadow. 4. Want light coverage with SPF protection for a day in the sun? Blend your own by using your one part foundation with your daily moisturizer and any SPF using the Sur.face Pro spatula to create your own BB/CC cream. 5. Looking for a fuller pout? Mix your favorite lip gloss with a drop of peppermint oil to give it a plumping effect. Apply with the new Micro.mini. All of the Beautyblender products are available online at beautyblender.net and at Sephora.